Dolly Parton and husband Carl Thomas Dean were married in a small ceremony back in 1966 and recently renewed their vows on their 50th anniversary. If you are a true Dolly Parton fan you know that the country music queen has been married to the same man for over five decades. 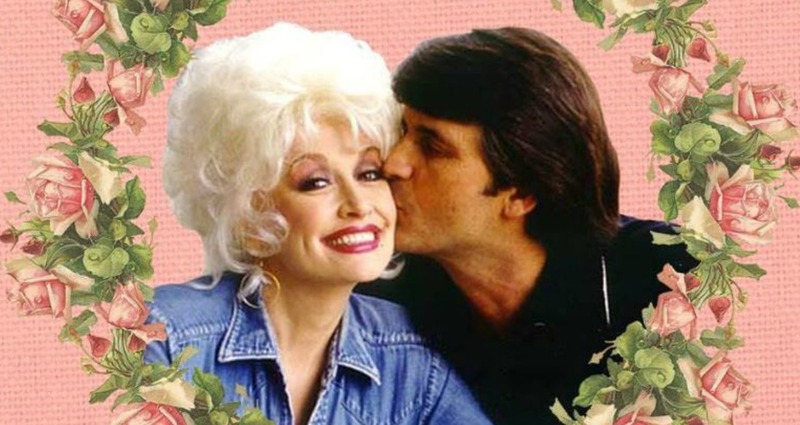 However, even die-hard fans might not know exactly what Parton’s husband, Carl Thomas Dean, looks like. This is because Dolly Parton knows that the key to the success of her marriage is the fact that it has been carefully guarded from the public eye during her rise to fame in the country music world. The couple enjoys traveling in their camper in the Tennessee mountains and eating picnic lunches outdoors, in addition to visiting their favorite low-key restaurants. It’s Dean’s desire for “being comfortable” that has kept him out of the public eye for over 50 years and the pair don’t plan to change things anytime soon. Speaking of not changing things, even when they visit their favorite low-key places, Parton still gets all “Dollyed-up” to eat with her long-time husband. The pair married when Parton was only 18-years old, already climbing the ladder of country music stardom. Her record label at the time did not agree with their prime female star getting married, so Parton and Dean had a quick wedding in a small Georgia church with a couple friends and their parents in attendance.